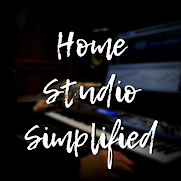 Home Studio Simplified: New Video! Check out the new video! If you are just starting out on the guitar this is right up your alley! If you're an experienced player it may be helpful for you as well! Enjoy!